The last week of January, and for many in Asia the last week of the (lunar) year, has seen extreme pressure on certain emerging markets – especially India, Turkey and South Africa. Investor jitters returned with a vengeance as the U.S. Fed’s taper loomed, and the HSBC China Purchasing Manager’s Index (PMI) showed that things were turning negative again. The Flash reading released on January 23 showed a contraction (49.6), and this negativity was confirmed in the full reading (49.5) a week later. Fears that China may be facing a difficult year, combined with worries about tapering, and a return to headlines for troubled Argentina, naturally pushed markets to reconsider their investments in emerging markets. Even though emerging markets are now exceptionally diverse, they can apparently still be bunched together in investors’ minds when the going gets tough. Outflows from emerging markets became a dominant (and probably self-reinforcing) narrative in financial media throughout the week. 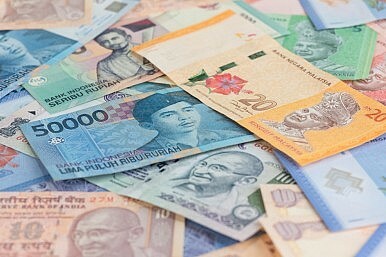 Selling and outflows contributed to significant pressure on the Turkish lira, the South African rand, and India’s rupee. All three countries reacted by raising interest rates, although in India’s case central bank governor Raghuram Rajan went to great lengths to insist that the rate rise was about domestic inflation, not the global sell off. Turkey’s massive 425 basis point rate hike failed to stem the tide as investors took the signal more as one of desperation than confidence. South Africa’s 50 bps rise and India’s moves were also a mixed bag, and the mood is not positive. It is likely that other central banks will be forced to act – either by raising rates or selling U.S. dollar reserves – in the coming days and weeks. Part of the problem is that India, Brazil, Turkey, Indonesia and South Africa are faced with elections in 2014. They all are troubled by either budget deficits (which are hard to eliminate during election campaigns) and/or current account deficits (which are painful to eliminate too). Rate hikes that are less about inflation and more about defending currency values are not going to be positive for growth. Already there are signs that the dominant story of a wide growth gap between high performing emerging markets and embattled developed countries is ending. In 2014, U.S. and U.K. growth is predicted to outpace that of Brazil and Russia. Complaints from Rajan at the Reserve Bank of India (RBI) have a slight whiff of the oft-used-in-the-past “blame foreigners” response to international volatility. Yet with U.S. GDP growth for 4Q 2013 coming in at an annualized rate of 3.2 percent, the Fed looks fully justified in continuing with its announced taper. The volatility is going to continue.